Cruises from Bari depart from spring through fall. An Italian university town and the administrative center for Puglia, Bari serves as a gateway to Greece. 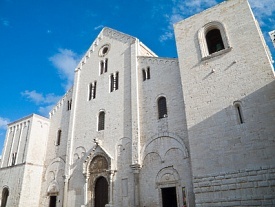 Visit the old town district to see impressive Romanesque-Pugliese structures and numerous churches. Take a relaxing walk along the Lungomare or go to the Via Sparano, famous for its luxurious shops.